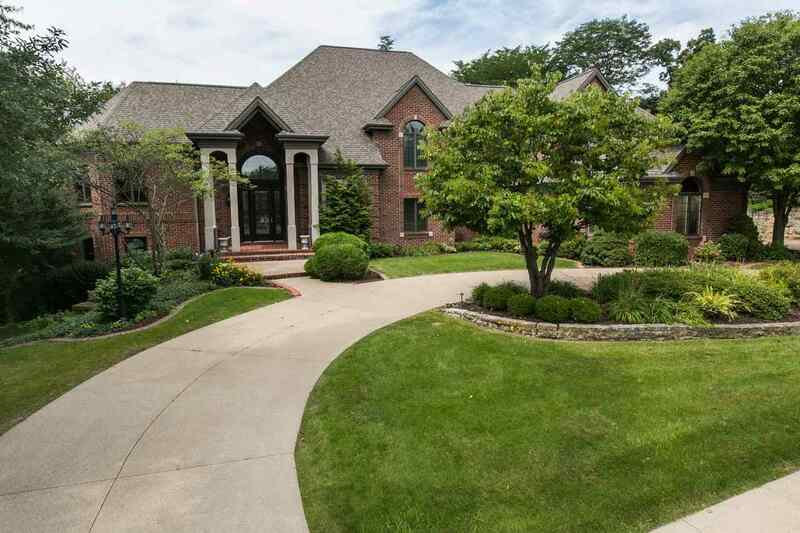 All Brick Custom Home On Large Wooded Lot. Built by Aaron Konrardy Construction. Beautiful hardwood flooring and 10' trey ceilings. Big bright kitchen with Viking range and solid service counters. Sound system throughout home. Formal living and dining rooms, four seasons room and family rooms up and down. Elegant Master Suite with spa bath and large walk-in closet. Two staircases, beautiful Den. Sauna and hot tub. Zoned Geo-thermal heat. Awesome woodwork and beautiful custom lighting.